Ten years back people were just speculating about how smartphones can change the modern communications. Now, smartphones are counted amongst most reliable sources of communication. There are numerous apps which have supported to this cause. 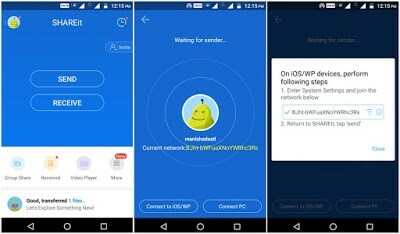 One amongst many is SHAREit, a file sharing app developed by SHAREit Technology Ltd.
Bluetooth has always been the popular one when it comes to data transfer, though there are others options like cables or internet connections. But what when the Bluetooth is too slow to transfer huge files? No internet connection nearby and moreover no handy USBs? Well, this is where SHAREit comes into the picture, and once you get a hang of it, trust us, you can’t loosen it! 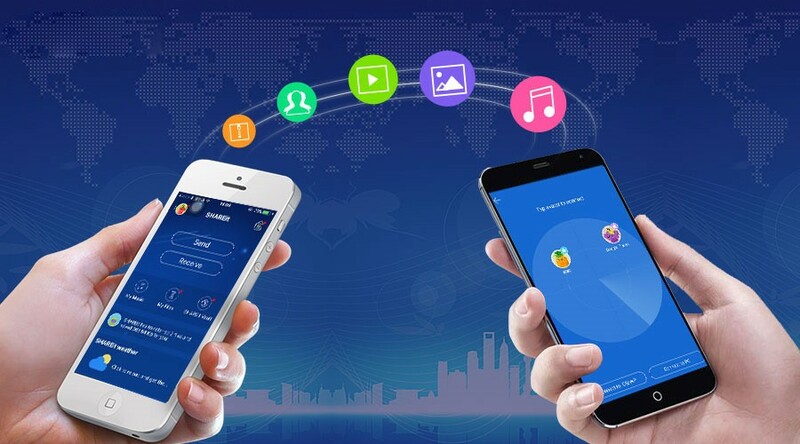 SHAREit is a file sharing app that is our personal favorite too. It shares almost any file of any size between two devices without using the internet or Bluetooth technology. Moreover, the application transfers at a speed of up to 200x of what Bluetooth technology offers. In more detailed numbers, the transfer speed reaches up to 20Mb/s, while the quality of files is not compromised and the original files are transferred. Also, the app does not differentiate between devices or operating systems, i.e it is cross-platform. It does not involve the hassle of pairing devices but automatically detects nearby ones who has SHAREit active and does not need a Bluetooth connection, internet or wires! Awesome, isn’t it? Available in 38 languages namely Hindi, Urdu, English, Japanese, Korean, Italian etc. And the list continues, the app is not only cross platform but multi-lingual as well. The user interface is not gala with pomp and show but is extremely simple and easy to use. Even for first timers, the app is self-explanatory, as it does not have many options on the screen, the basic functions are on the display and include share, connect and send or receive. You can not only send multiple files to one user but also multiple files to multiple connected devices. This is one feature which is difficult to be found in other file sharing platforms. Also, SHAREit stands out by offering a more compelling and comprehensive Wi-Fi direct sharing service. Further to it, the connectivity with PC is quite advantageous which lets you manage the files by controlling them via tablet or smartphone or even computer. Get a look of files to be transferred and control your PowerPoint presentations via smartphones making minor last minute changes. For starters, if you wish to send a file, choose “send” option, select the files to be transferred, let the app do its job of searching nearby device and next you select the receiver which appears on the screen. If you are at receiving end, just click on “receive” and let the app do the rest on its own! 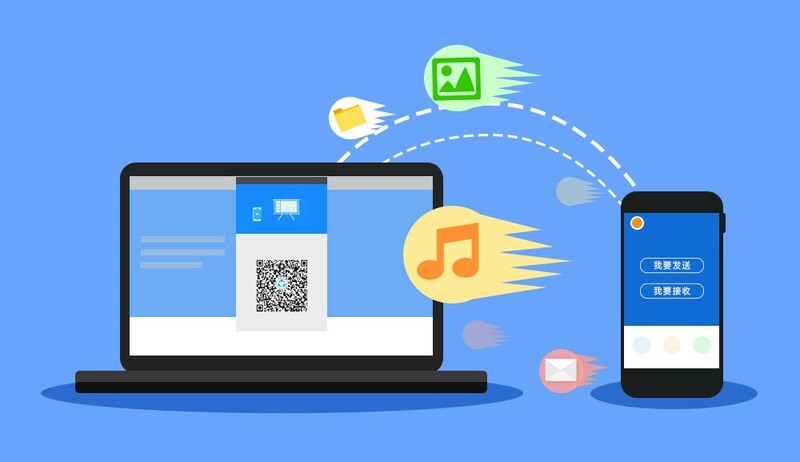 SHAREit application must be installed on all devices involved in the transfer of files. Sharing of numerous file formats to multiple devices at once. Replicate contacts, SMS messages, MMS messages, music, videos, apps and other data. Music and Video file formats are automatically detected leaving no room for confusion. Can’t think of any, seriously! We have never encountered a downtime with the app, and there is a reason why SHAREit has owned over 1 billion users throughout the world, Monthly Active Users are almost 400 million, including over 300 million users contributed by India. Statistics says the app sees transfers of over 700 million documents every day. Also, SHAREit is using modern day methods of content referencing to formulate accurate user profiles and recommend right content to right people. We would say that we do contribute our part in those 700 million transfers! And if you don’t, we say go on and try! You will surely love it and will not run away from transferring huge files. Download SHAREit for Android from the Google Play, the iOS version from the Apple App Store and let us know your thoughts on the app in the comments down below!